Our company consists of expert real estate professionals committed to meeting the needs of industrial tenants and property owners. 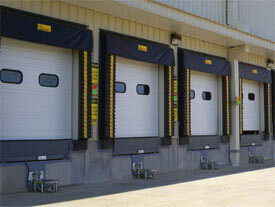 We provide comprehensive real estate services designed specifically to the industrial market. The Industrial Services we provide take a client through every stage of a transaction, from planning and site selection to the closing of a deal. Our salespeople are qualified to handle all client requirements, from portfolio review of existing locations to the sale of surplus property. For tenants, our sales team handles relocations, renewals, lease restructures and dispositions. To effectively represent owners of industrial space, our team has a thorough understanding of the industrial marketplace allowing us to market the space effectively, resulting in quick transactions with minimal downtime. Our office has the knowledge to assist with building purchase, build-to-suit assignments and building sales. George Tsunis Real Estate, Inc, understands and is devoted to assisting industrial clients. Our team is highly aware of the needs specific to industrial tenants and owners from loading bay requirements to environmental and zoning regulations. In addition, our company team has an intimate knowledge of all areas of the industrial marketplace and prides itself on having a complete understanding of the trends and options available to clients.